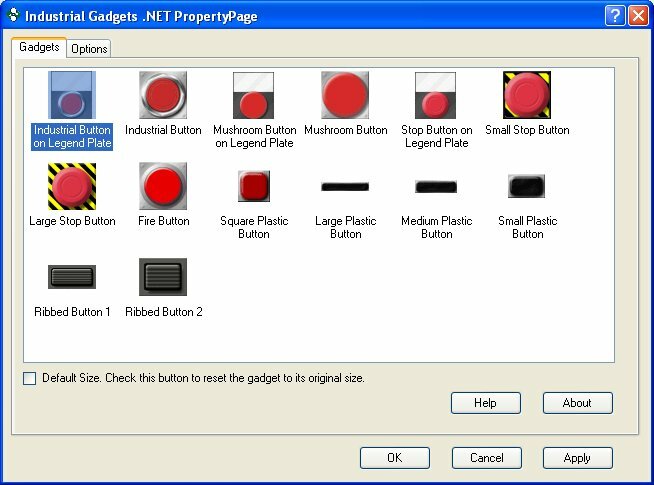 Gadget Buttons include the following illuminated and non-illuminated button objects, samples of which are shown at the bottom of this page. With 14 pushbutton types that can be setup in up to 3 different colors and 7 different action styles there are 294 different pushbuttons possible! Latching - on until pressed, when pressed, turns off - when pressed again, turns back on. 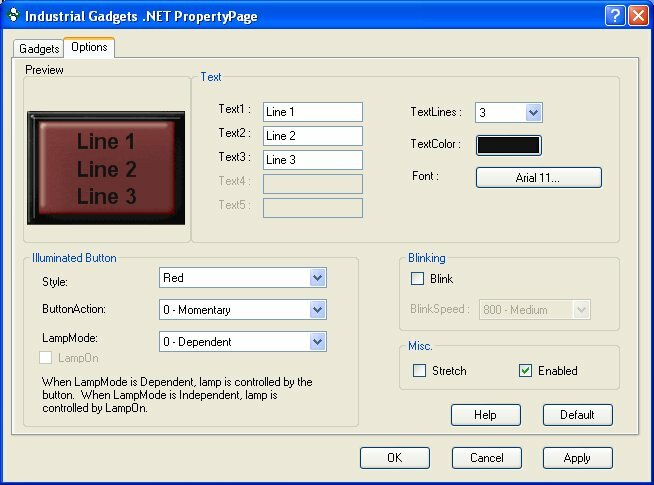 Each button's color can be set using the Style selection to a predefined set of choices that have been carefully chosen to match common industrial controls found on control panels. 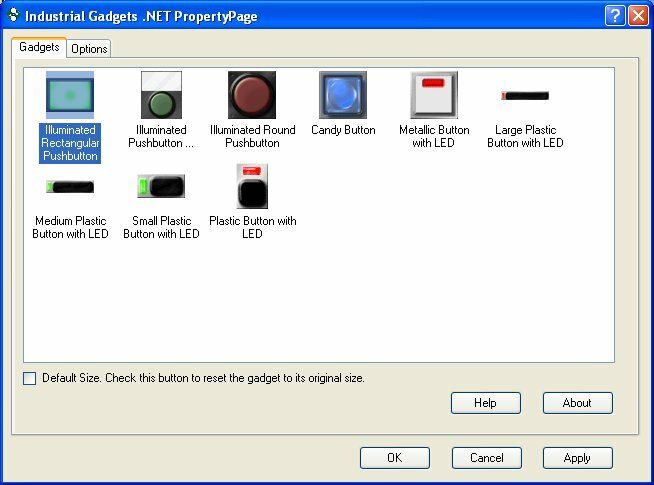 On the illuminated buttons, users can configure the lamp and pushbutton to be controlled by independent tags or the same tag. 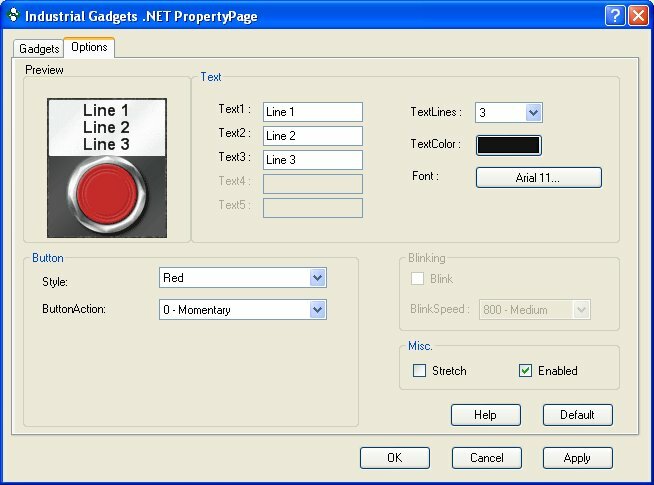 Buttons can be disabled for user input by using the .Enabled property.